With cloud hosted Exchange email you can still access your email on any Internet connected mobile device such your phone or ipad or your home computer even if your office goes down. 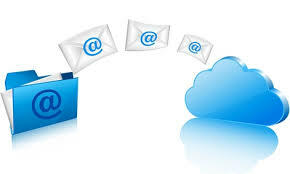 If you don't have cloud email, you could lose all access to email if the power or Internet go down in your office. Stop wasting your time deleting emails on two devices, going through spam daily, and losing money due to outages. We are a Microsoft partner with years of experience migrating businesses to the cloud. Upgrade to cloud hosted Exchange email with Network Rescue.